Sally Ride was born today, May 26, in 1951. She was an American physicist and astronaut. She was the first American woman in space and the third woman overall. She remains the youngest astronaut to travel to space at age 32, and the first known LGBT astronaut. Ride was born in Los Angeles. The photo at right is her in Junior High. In addition to being interested in science, she was a nationally ranked tennis player. Ride attended Swarthmore College for three semesters, took physics courses at University of California, Los Angeles, and then entered Stanford University as a junior, graduating with a bachelor's degree in English and physics. At Stanford, she earned a master's degree in 1975 and a PhD in physics in 1978 while doing research on the interaction of X-rays with the interstellar medium. Astrophysics and free electron lasers were her specific areas of study. Ride was one of 8,000 people who answered an advertisement in the Stanford student newspaper seeking applicants for the space program. 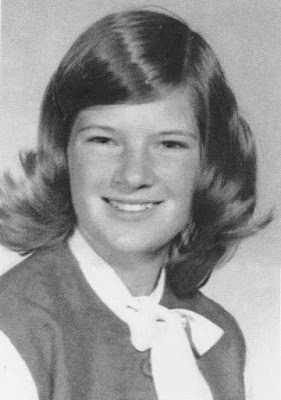 She was chosen to join NASA in 1978. During her career, Ride served as the ground-based capsule communicator (CapCom) for the second and third space shuttle flights (STS-2 and STS-3) and helped develop the space shuttle's "Canadarm" robot arm. Prior to her first space flight, she was subject to media attention due to her gender. During a press conference, she was asked questions such as, "Will the flight affect your reproductive organs?" and "Do you weep when things go wrong on the job?" Despite this and the historical significance of the mission, Ride insisted that she saw herself in only one way—as an astronaut. On June 18, 1983, she became the first American woman in space as a crew member on space shuttle Challenger for STS-7. She was preceded by two Soviet women, Valentina Tereshkova in 1963 and Svetlana Savitskaya in 1982. The five-person crew of the STS-7 mission deployed two communications satellites and conducted pharmaceutical experiments. Ride was the first woman to use the robot arm in space and the first to use the arm to retrieve a satellite. 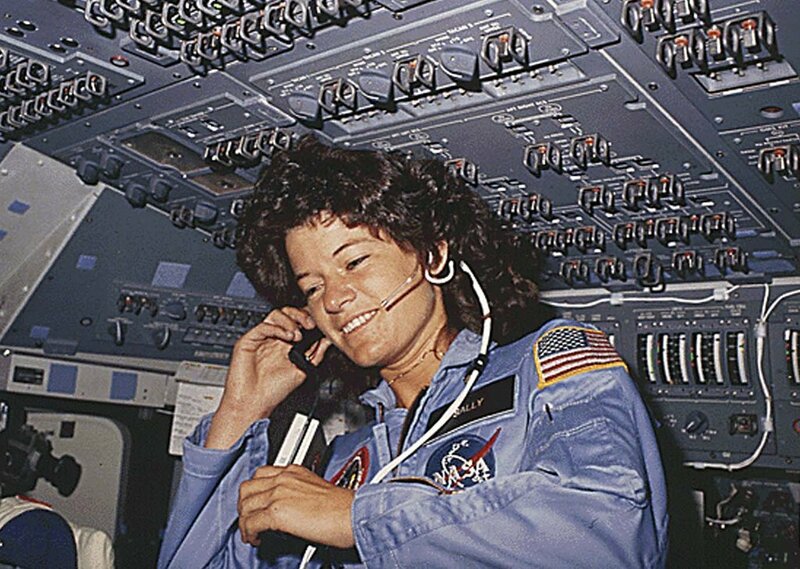 Her second space flight was in 1984, also on board Challenger. She spent a total of more than 343 hours in space. Ride had completed 8 months of training for her third flight (STS-61-M, a TDRS deployment mission) when the space shuttle Challenger disaster occurred. She was named to the Rogers Commission (the presidential commission investigating the accident) and headed its subcommittee on operations. She was the only person to serve on both of the panels investigating shuttle accidents (those for the Challenger accident and later the Columbia disaster). Following the Challenger investigation, Ride was assigned to NASA headquarters in Washington, D.C., where she led NASA's first strategic planning effort, authored a report titled "NASA Leadership and America's Future in Space" and founded NASA's Office of Exploration. 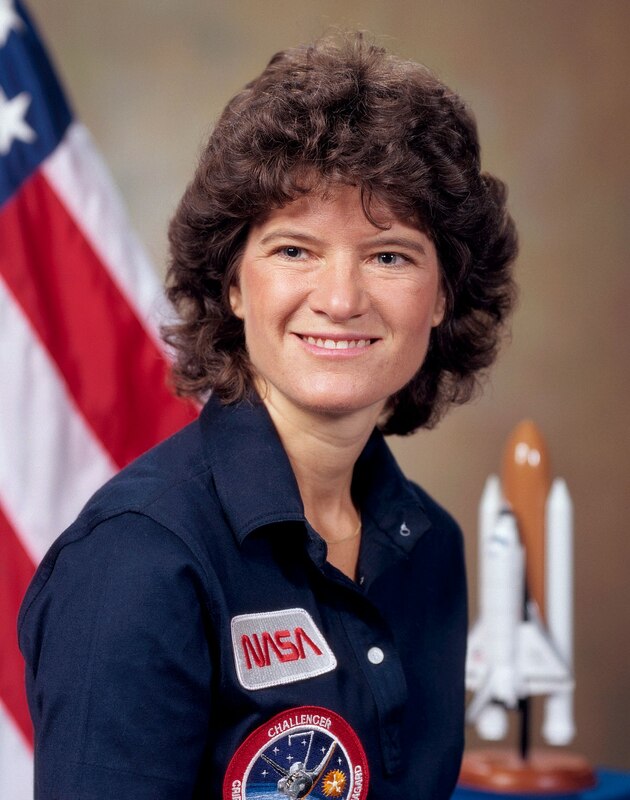 After Sally Ride's death in 2012, General Donald Kutyna revealed that she had discreetly provided him with key information about O-rings (namely, that they become stiff at low temperatures) that eventually led to identification of the cause of the explosion. In 1987, Ride left her position in Washington, D.C., to work at the Stanford University Center for International Security and Arms Control. In 1989, she became a professor of physics at the University of California, San Diego, and director of the California Space Institute. She was the president and CEO of Sally Ride Science, a company she co-founded in 2001 that creates entertaining science programs and publications for upper elementary and middle school students, with a particular focus on girls. According to Roger Boisjoly, the engineer who warned of the technical problems that led to the Challenger disaster, after the entire workforce of Morton-Thiokol shunned him, Ride was the only public figure to show support for him when he went public with his pre-disaster warnings. Sally Ride hugged him publicly to show her support for his efforts. Ride wrote or co-wrote seven books on space aimed at children, with the goal of encouraging children to study science. After Ride's death, her obituary revealed that her partner of 27 years was Tam O'Shaughnessy (with Ride at right and their dog, Gypsy), a professor emerita of school psychology at San Diego State University and childhood friend, who met her when both were aspiring tennis players. 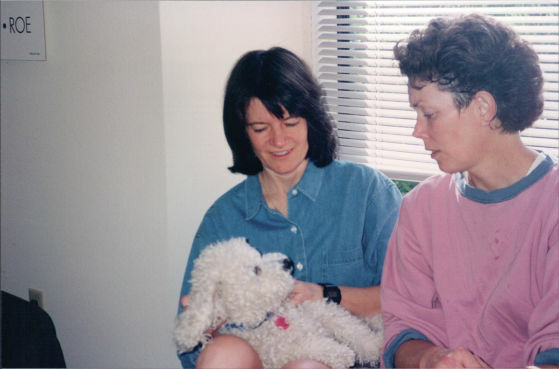 O'Shaughnessy was also a science writer and, later, the co-founder of Sally Ride Science. 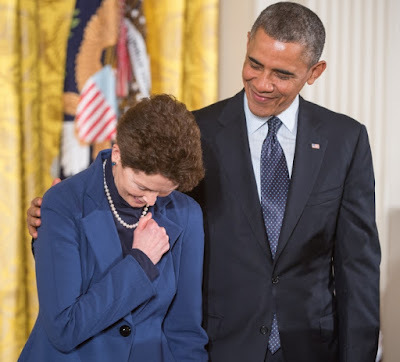 O'Shaughnessy now serves as the Chief Executive Officer and Chair of the Board of Sally Ride Science. They wrote six acclaimed children's science books together. Their relationship was revealed by the company and confirmed by her sister, who said she chose to keep her personal life private, including her sickness and treatments. Ride died on July 23, 2012, at the age of 61, in her home in La Jolla, California, 17 months after being diagnosed with pancreatic cancer. Ride received numerous awards throughout her lifetime and after. She received the National Space Society's von Braun Award, the Lindbergh Eagle, and the NCAA's Theodore Roosevelt Award. She was inducted into the National Women's Hall of Fame and the Astronaut Hall of Fame and was awarded the NASA Space Flight Medal twice. 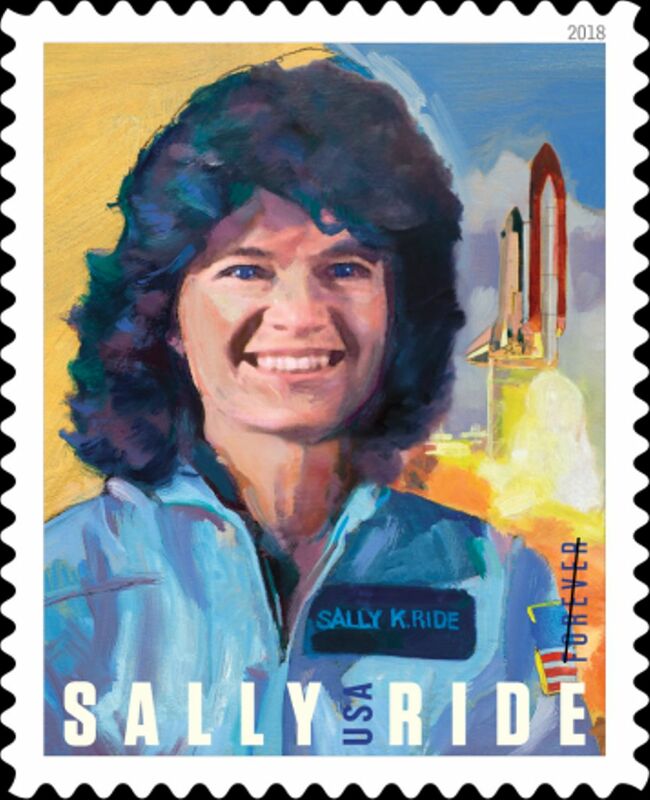 Two elementary schools in the United States are named after her: Sally Ride Elementary School in The Woodlands, Texas, and Sally Ride Elementary School in Germantown, Maryland. In 1994, Ride received the Samuel S. Beard Award for Greatest Public Service by an Individual 35 Years or Under, an award given out annually by Jefferson Awards. In 2007, she was inducted into the National Aviation Hall of Fame in Dayton, Ohio. In April 2013, the U.S. Navy announced that a research ship would be named in honor of Ride. This was done in 2014 with the christening of the oceanographic research vessel RV Sally Ride (AGOR-28). Also on May 20, 2013, President Barack Obama announced that Ride would receive the Presidential Medal of Freedom, the highest civilian award in the United States. The medal was presented to her life partner Tam O'Shaughnessy (right) in a ceremony at the White House on November 20, 2013. In 2014, Ride was inducted into the Legacy Walk, an outdoor public display that celebrates LGBT history and people. The U.S. Postal Service issued a first-class postage stamp honoring Ride in 2018.